Siemens secured a significant contract for the design, manufacture, installation and commissioning of 56 turbines for the Galloper offshore wind farm. Spend: Given the early stage of the project, a large number of contracts and services to deliver Siemens’ contract are yet to be procured. Over the years, Siemens has successfully delivered a large number of offshore wind projects. Key to continuing this success will be to continue to develop a UK-based supply chain strategy to support project delivery. As such, it is expected that a number of sub-services required for the successful delivery of the Galloper project will be sourced locally. Overall, supply chain spend is expected to include at least 5% of total spend with suppliers across the UK. Employment Impacts: Siemens employs around 2,000 people nationally as part of its offshore wind activity. It is expected that the Galloper project will make a significant contribution to this by supporting a number of jobs during the construction period. The project will also result in the creation of further service and maintenance jobs over the project’s lifetime. Overall, Siemens employs around 700 field service technicians, whose task is to maintain its current assets. The Galloper project will make a significant contribution towards this, and towards long-term job sustainability. Up-Skilling: Siemens is a key player nationally in the energy sector, and plays an important role in supporting skills growth across the renewables sector nationally. It contributes to a number of national training schemes (such as the Renewables Training Network Group and the Skills and Employment Strategy Group), in addition to supporting apprenticeships and taking forward collaborative skills development initiatives (by working with higher education institutions such as the University Technical College at Hull). Furthermore, as part of the delivery of the Galloper offshore wind farm, a number of apprenticeships will be supported. Investment: In addition to its investments in Galloper, Siemens (together with Peel Ports) is also undertaking a multi-million pound investment in the Port of Great Yarmouth. This investment will result in new and improved yard storage and marshalling, and the installation of heavy-lifting quayside facilities, whilst also improving the port’s overall facilities (not only those directly related to offshore wind). 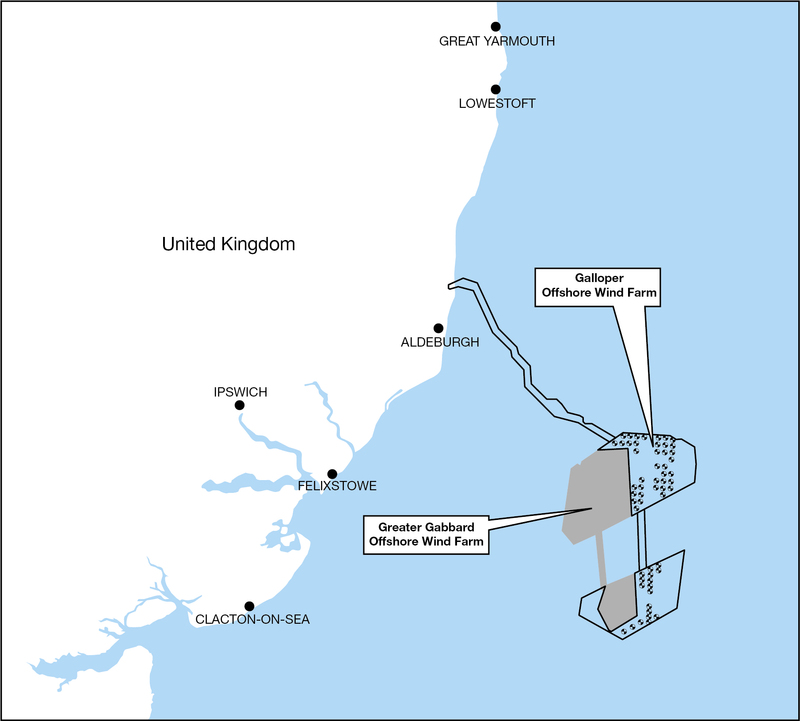 For Galloper, Siemens will be using the Port of Great Yarmouth as a pre-assembly site for blades and turbines. Great Yarmouth will be used in a similar way for the East Anglia ONE project from 2018 onwards. It is expected that Great Yarmouth will see increased activity for around 23 months over the construction period. Following the announcement that Great Yarmouth will be used for both Galloper and East Anglia ONE, a decision has been made to increase the level of investment planned. Siemens’s multi-million pound investment in Great Yarmouth follows its recent investments in the Humber area which include a project execution site at Alexandra Dock, and a blade manufacturing facility in Hull. These investments highlight Siemens’s confidence in the offshore wind market nationally, and are also contributing towards growing Britain’s east coast as a hub for the sector.